Want to buy a sturdy and safe suitcase? American Tourister Waverbreaker is not for you! Hello! 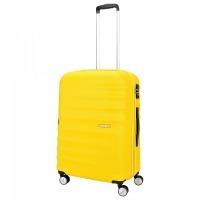 I’d like to tell you about the American Tourister Waverbreaker suitcase. I was planning to write this review for quite some time, but I was too lazy to do it. However, I can’t keep my mouth shut! I could’ve saved so much money if I’ve read similar reviews!